K Ply High Density Overlay is an exterior type plywood manufactured with a hard, smooth phenolic resin impregnated bleach kraft overlay. The overlay is self bonding to form a durable integral unit with the all hardwood substrate. The initially high cost of Concrete Form HDO is more than offset when multiple re-use, clean-up and finishing factors are considered. 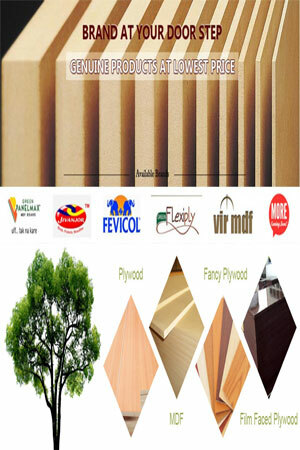 Plywood is chosen as formwork material because of its ease of assembly and stripping, plus versatility in forming shapes. Concrete Form HDO has these advantages plus a high performance overlay surface designed for concrete forming use. Available in standard panel size 2′ and 4′ widths by 8′ and 10′ lengths. Standard thicknesses are 1/2″ and 5/8″ (7 ply), 3/4″ (9 ply), and 1-1/8″ (13 ply). Edge sealed with special silver color moisture and alkali resistance edge sealer.